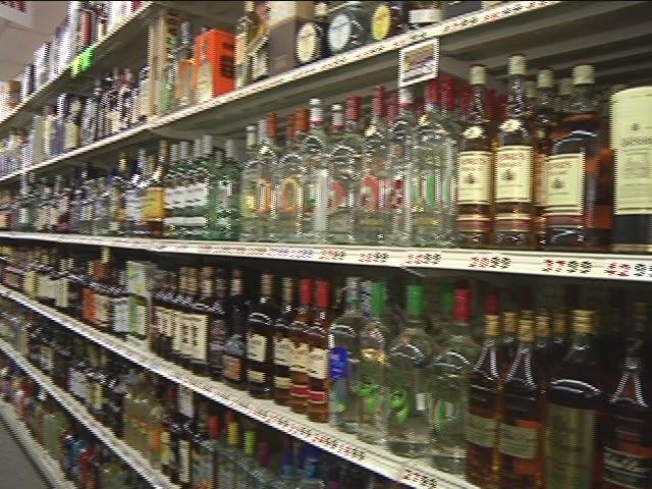 The debate over Sunday liquor sales continues in Hartford today. Lawmakers heard from both sides on the debate on whether to allow package stores and supermarkets to sell alcohol on Sundays. Right now, Connecticut is one of just three states in the nation to ban the sale of beer, wine and hard liquor in package stores and supermarkets on Sunday and lawmakers took up the issue on Monday at the state Capitol in Hartford. It's estimated that lifting the long-banned practice could generate an estimated $8 million in additional revenue. But several package store owners in the state reject the seven-day plan because they say the sales will simply be spread over seven days, rather than six. Other store owners are in favor of the idea and believe they will lose business when their customers cross state lines to buy alcohol on Sundays. Police chiefs are now weighing in on the proposal. "It is very alarming to us that a potential discussion on the issue will be made on the revenue the issue may generate," police chiefs in West Hartford and Cromwell wrote in a letter, according to the Hartford Courant. "We think that to encourage more drinking is detrimental to public safety. We would hope that the legislature would not embrace a bad public policy in the illusory hope of a marginal revenue increase." Ben Jenkins, a spokesman for the national liquor wholesalers organization, is critical of the opinion. "To my knowledge, we haven't had any other police chief organizations come out against Sunday sales in other states, or even MADD for that matter" Jenkins told the Courant. The group End Connecticut's Blue Laws thinks competition is good for the marketplace and it is a matter of convenience since more retail businesses are open seven days a week. The bill awaits committee action.